It’s time to resurrect this blog. I’m sorry I’ve been gone so long! No excuses, really. I got busy doing home improvement work (and I do plan to share some before and after photos soon), and then days turned into weeks turned into months. Going forward, I’m going to do my best to post weekly, and get back into the swing of things. I’ve even got a (mostly) functional craft room now, and having a space for creative work really makes a difference. About a month ago, we had a housewarming party. It was great! Lots of friends and family came by to celebrate our new house with us and it was so nice to fill our new home with people we love. 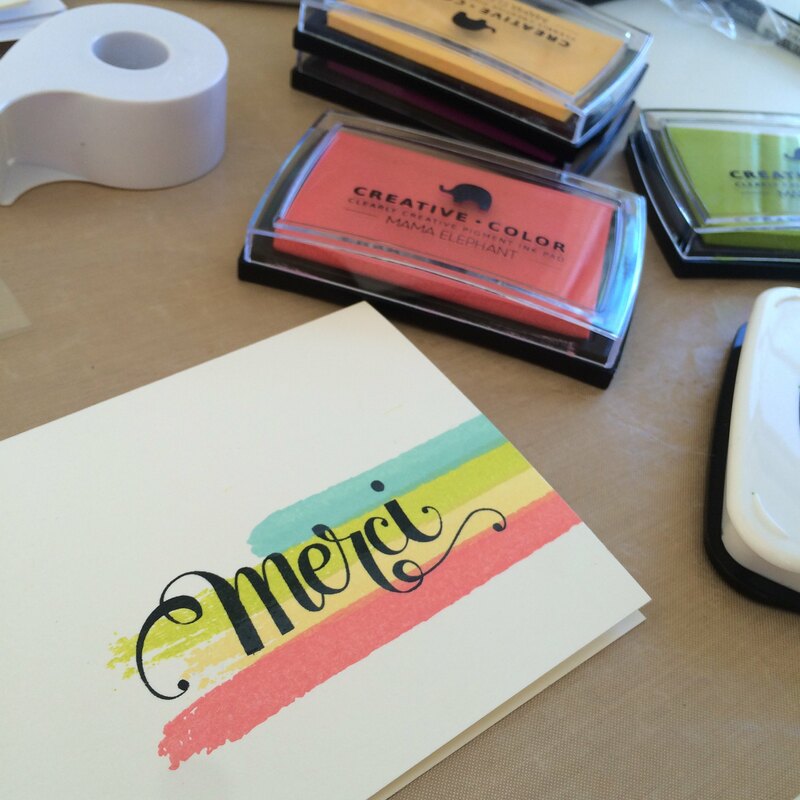 After the party, I got busy making thank you cards (lots of which have appeared on my instagram feed). This set of cards was relatively quick and easy. 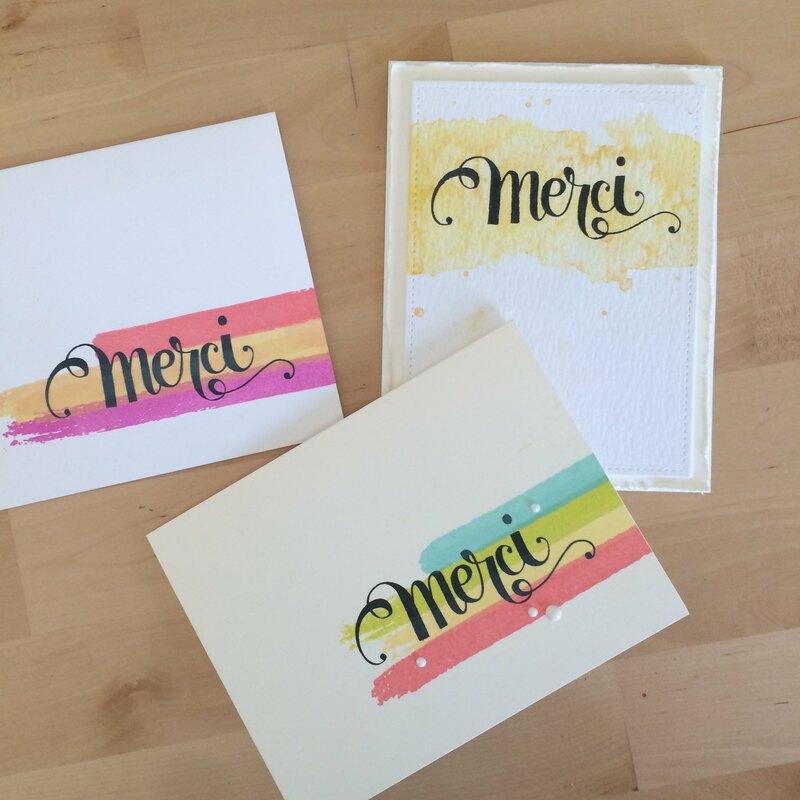 For two of the cards, I used the Brush Strokes stamp set from Mama Elephant, and an assortment of Mama Elephant pigment inks before stamping the Merci sentiment (from another Mama Elephant stamp set) on top of the brush strokes. 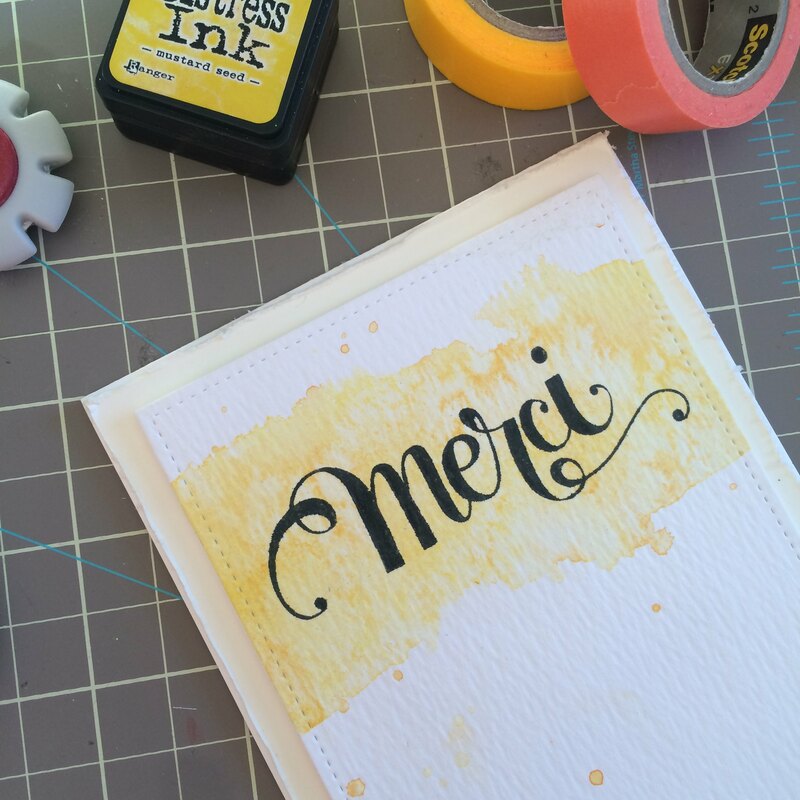 I used Versafine Onyx Black ink to stamp the sentiments. I also had a water colored panel lying around so I slapped a Merci sentiment on that, mounted it on a card base and called it a day. Phew. It feels good to get a blog post written! For those of you who are still following along with me Thank You, Thank You, Thank You for sticking it out!